Iranian President Hassan Rouhani told French President Emmanuel Macron in a phone call that a package offered by Europe to counter the effects of the US abandoning the nuclear deal "does not meet all our demands"
Iranian President Hassan Rouhani said Thursday that a European offer of economic measures to counter the effects of the United States abandoning the nuclear deal does not go far enough, reported state news agency IRNA. [post_ads]Rouhani told French President Emmanuel Macron in a phone call that the package "does not meet all our demands," reported the news agency on the eve of ministerial talks in Vienna. 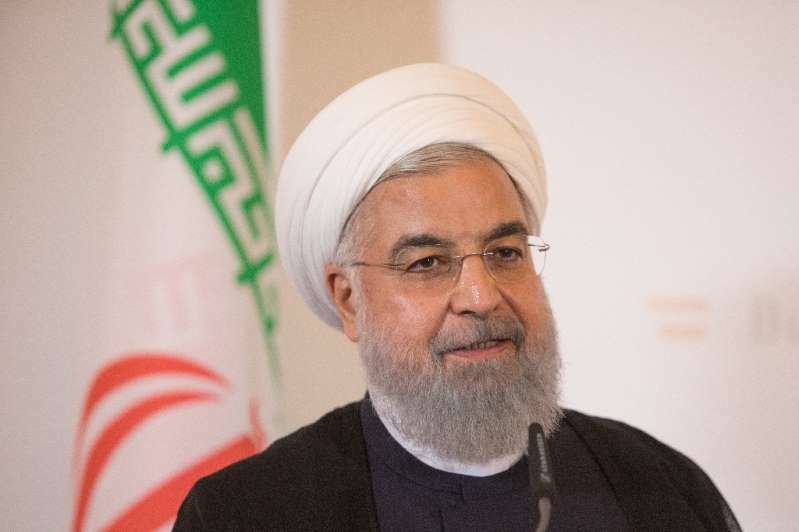 The Iranian leader said he hoped the matter could be addressed at the meeting which comes two months after US President Donald Trump walked away from the landmark 2015 agreement. Since Trump's shock move in May, Washington has warned other countries to end trade and investment in the Islamic republic and stop buying its oil from early November or face punitive measures. The other signatories -- Britain, France, Germany, China and Russia -- have vowed to stay in the accord but appear powerless to stop their companies pulling out of Iran for fear of US penalties. The Vienna meeting will discuss the European package of economic measures that aims to persuade Iran to stick with the deal, a European diplomat said without specifying the measures on offer. The five powers' top diplomats were due to join Iranian Foreign Minister Mohammad Javad Zarif from 0900 GMT in the Austrian capital, where the accord was signed in 2015. Iranians have complained that the hoped-for rise in foreign investment and trade after the deal has not materialised. Since Trump's announcement, Iran's rial currency has fallen, prices have risen and the country has been hit by street protests and strikes. Rouhani, who signed the nuclear deal, has at times been attacked at home by ultra-conservatives, who have denounced his willingness to talk to the West and accused him of hurting the economy.